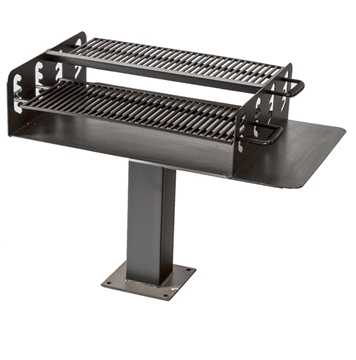 Municipal Park Grills provide steel barbecue pedestal park grills for outdoor recreational parks. Burn Charcoal or wood for picnic Barbecues. 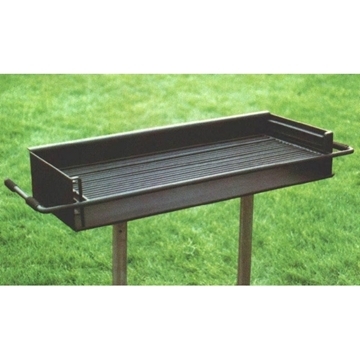 City parks use these heavy duty park grills to create safe and useful barbecue picnic areas for picnic gatherings. 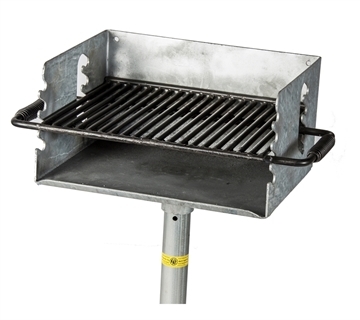 We sell single pedestal grills that have non removable grills to prevent vandalism and keep barbecues functional for picnic gatherings. Large group grills allow for a large grill surface to grill many hamburgers and hotdogs at the same time.